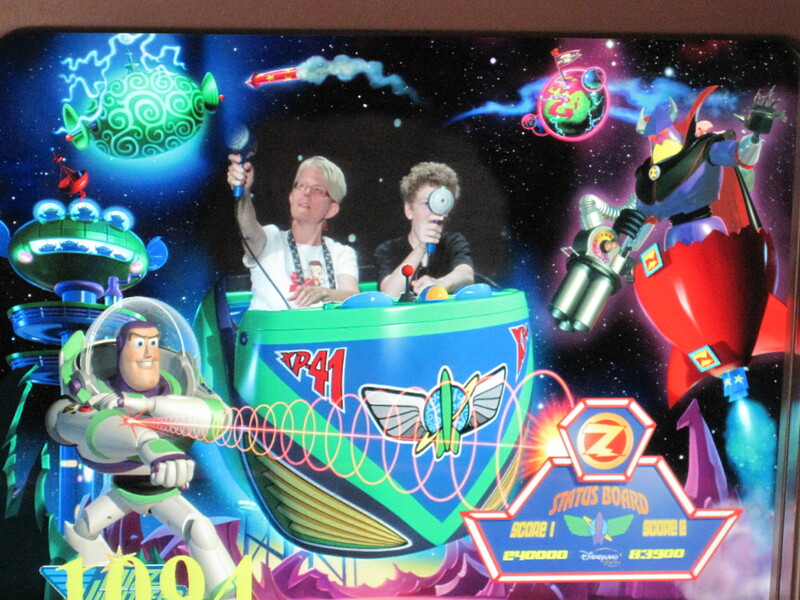 Buzz Lightyear Laser Blast in Disneyland Paris’ Discoveryland doesn’t vary much from its stateside counterparts: You spin the car around, you shoot at the Zs, you complain that your gun isn’t working right, you mug for the camera in the final room. But hey, in Paris it’s partially in French, plus the guns come out of their holsters (as do those in Anaheim, but not Lake Buena Vista). 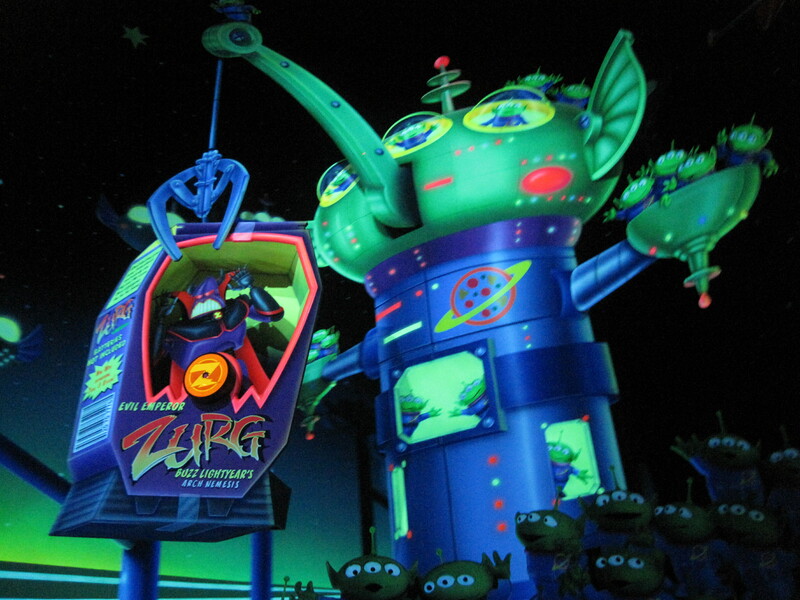 I lost track of how many times we visited this attraction during our four days at Disneyland Paris last month. But I can tell you that the Fast Pass machines there are more prone to delays than any other Fast Pass machines I’ve ever seen. 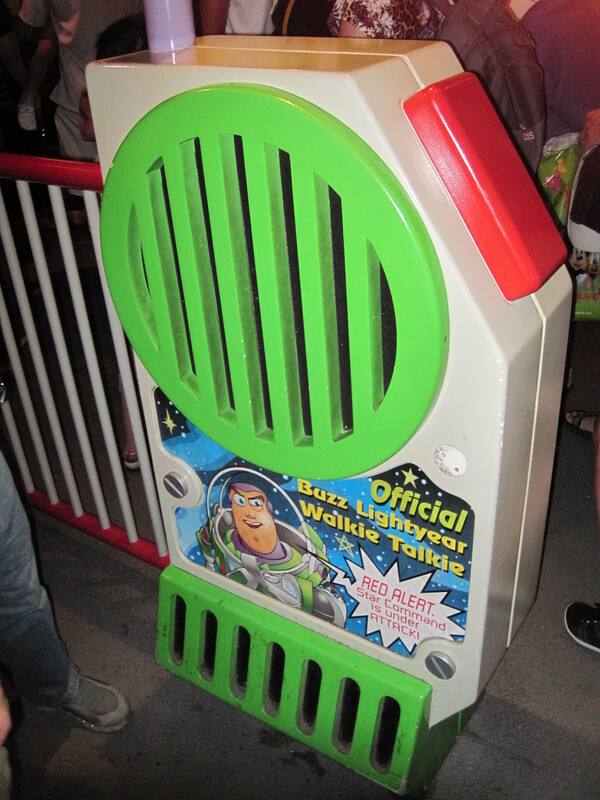 It seemed that every single time we approached for Fast Passes, several of the machines were out of paper. 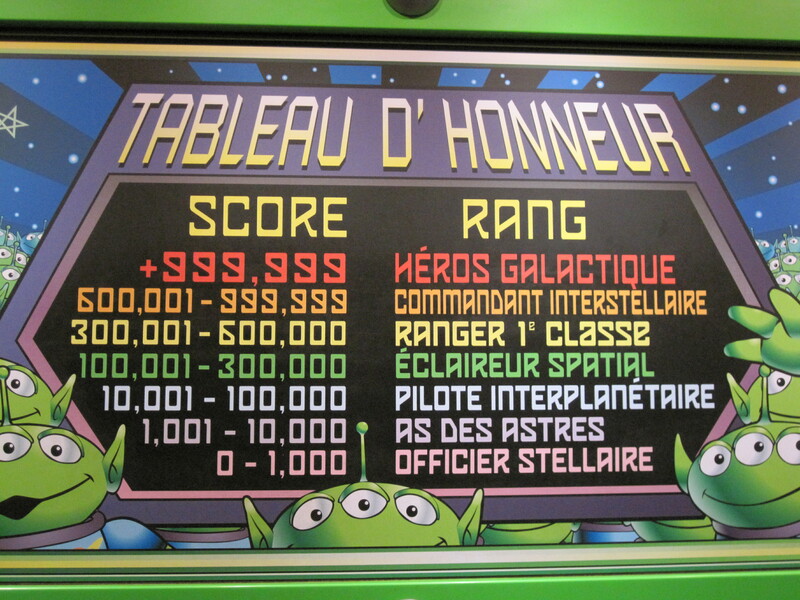 But no matter….it was fun to hear Buzz speaking French, fun to play shooting gallery, fun even to sit around taking pictures on my last time through the attraction since my gun, yes, was not working properly. 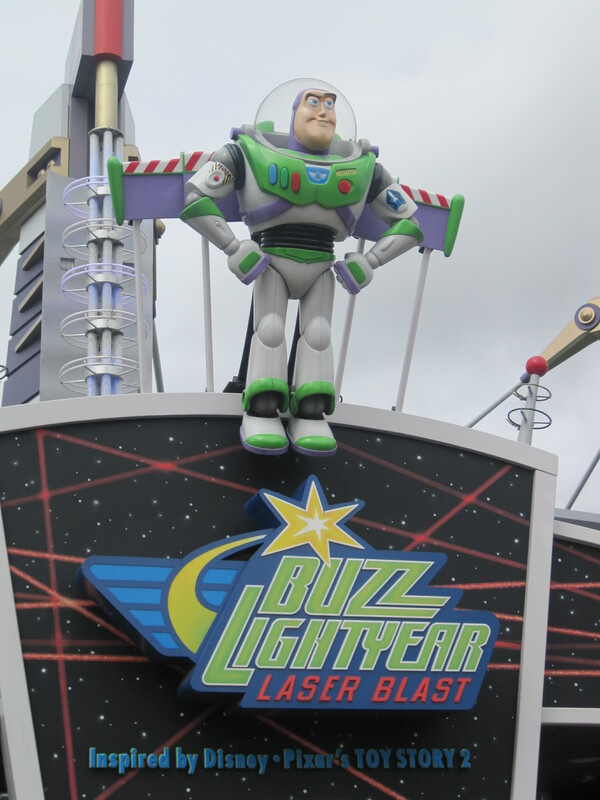 My BFF has pointed out that at some point on the park map, our hero is referred to as Buzz L’Eclair. This seems to translate literally to “Buzz Flash” or “Buzz Lightning,” which feels like an odd translation but must work quite smoothly for dubbing, given the similarity of the words. The Etch-a-sketch replacing the Viewmaster here was a nice touch. 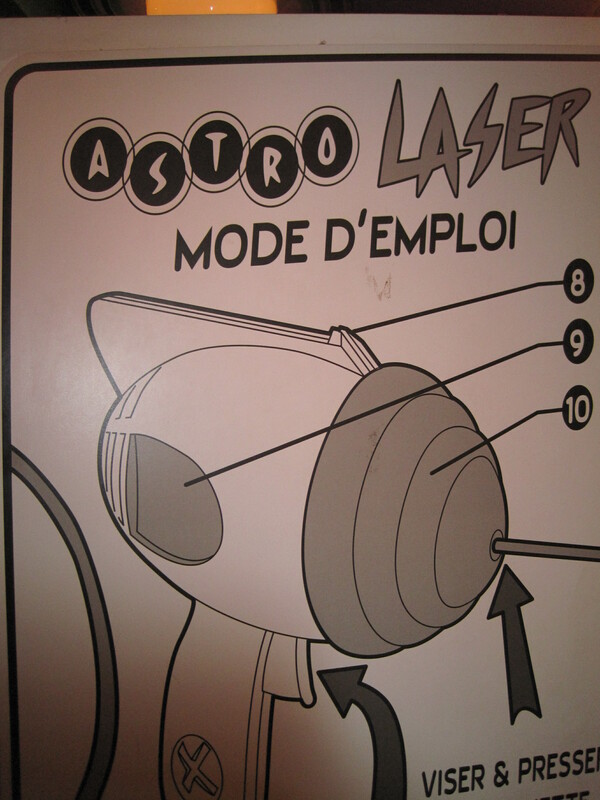 Mission diagrams were drawn throughout Buzz' comments, which were of course bilingual. The ride remains the same....all your old friends are here. 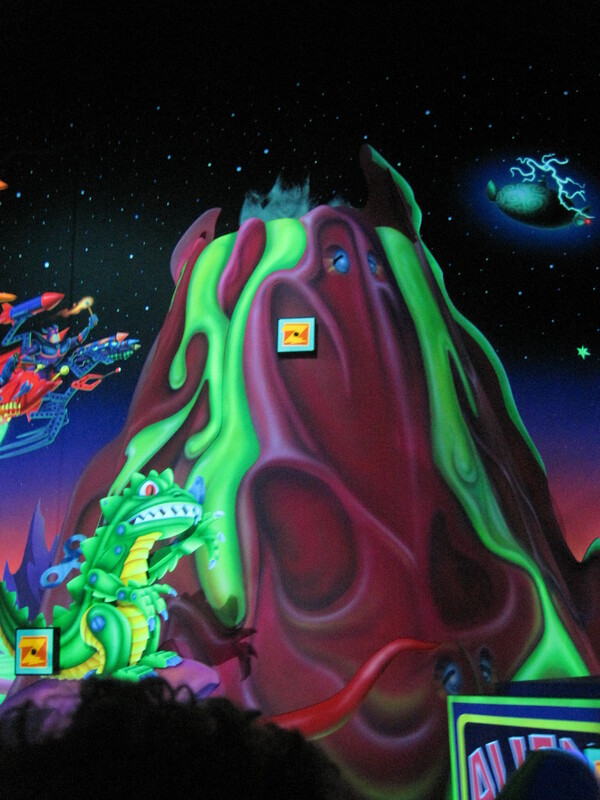 There are also a few extra touches of awesomeness, as it's the newest installation of this attraction. having opened in 2006. Yup, I was looking everywhere for the lanyard tags like they sell at the US parks. But no dice. 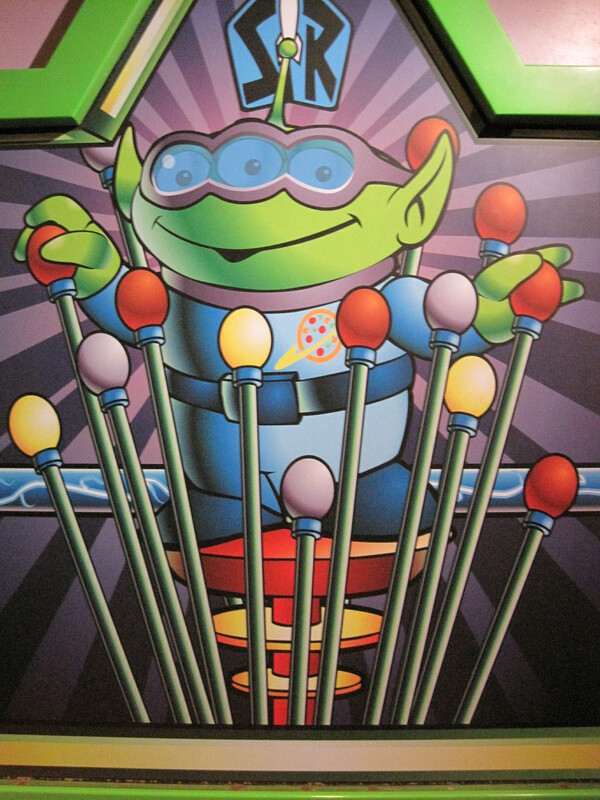 And hey, while we’re talking about Toy Story attractions and such….yup, I’ve already pre-ordered my copy of the Toy Story Mania game for Wii, which comes out tomorrow! In fact, I ordered mine at the local Game Stop, to get the bonus Toy Story Mania wiimote face plates (unlike the link above, that goes to my Amazon Affiliates store, the virtual equivalent of buying me a Dole Whip to thank me for the blog). My one question, as I anxiously await playing it tomorrow: Will the game feature special cut scenes between plays where you head back out to the line, check to see what the Fast Pass return time is like, and chat amongst yourselves for 90 minutes before you get to play again?